This is an original accessory supplied to ASG from CZ. 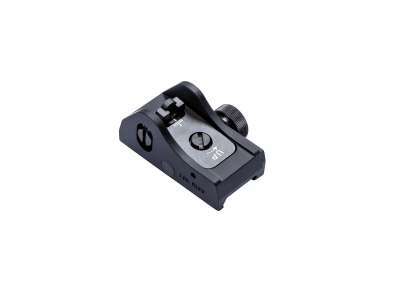 This rail mounted rear sight is made by LPA known for making quality aiming devices for the firearms industry. The sight features a ring aperture and is adjustable for elevation and windage. CNC machined from aluminum alloy.